I tested the Acer Aspire Switch 10E last year. It cost about $300 and was quite usable. Today I have a lower-cost version of that in my hand. At $179 it’s the cheapest Windows detachable on the market and It makes sense that I do a few usability tests with it while I have it. The Acer Aspire One S1002. Surprisingly there’s a reasonable build quality here, charging over Micro USB or DC-in and a separate HDMI and Micro SD card port. 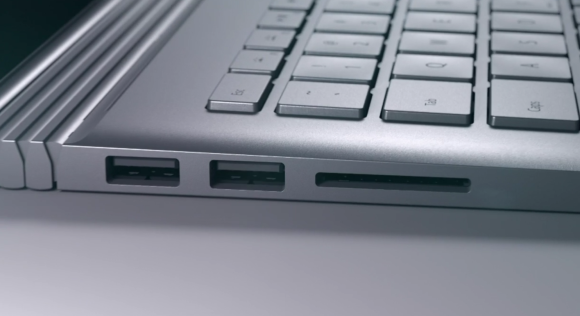 There’s a full-size USB 2.0 port on the keyboard. The screen is bright with good contrast. 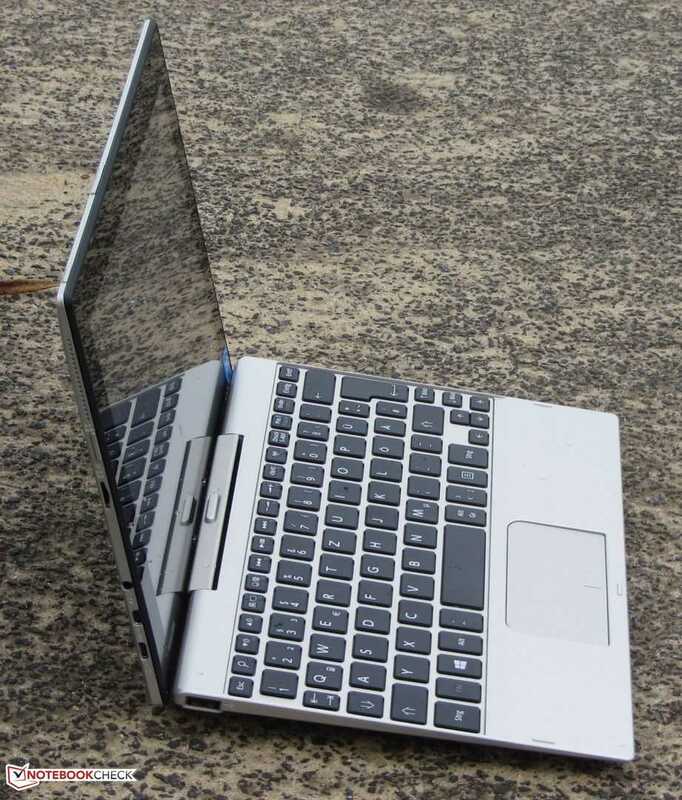 A 32 Wh battery inside will keep you browsing for over 6 hours and if you’re offline you can type for well over that although the keyboard really is netbook-style and needs getting used to. The best thing is the disk speed. This is one of the fastest eMMCs I’ve seen on this generation of Windows tablets. It’s well-balanced and gives a relatively good set of 4K scores. Now to the bad. The Acer One S1002 runs on an ‘old’ Baytrail-T platform and while the CPU on the latest Atom X5s isn’t much faster there’s a new GPU in the new platform that gives a good boost over this generation. The resolution is a poor 1280 x 800 and you’ve only got 2 GB RAM and 32 GB storage (around 18 GB usable.) It’s a fairly thick netbook when closed and it weighs 1.2 KG in total. There’s no USB 3.0 and the speakers are really poor. WiFi is single-channel, single band, non-AC. 72 Mbps was the most I could connect at. I took a look inside the keyboard case to see If there were any nice surprises. Although there’s a space for a disk there are no electronics for connecting to one You might want to think about stuffing a few hundred grams of something inside there though because the tipping-point of the docked tablet is very tight. I found it tipping back in normal desk-based usage. 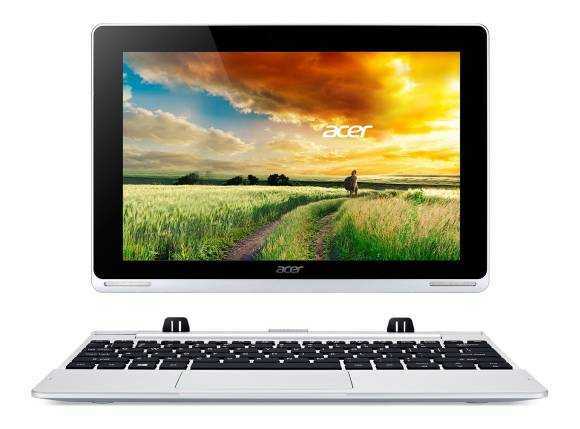 What can you do on the $179 Acer One S1002? Well, Office Mobile is installed and you get a free Office 365 year license. Web browsing is faster than on most smartphones and the Sunspider 1.0.2 score of around 500 ms is OK. Working in the back-end of WordPress has been fine. 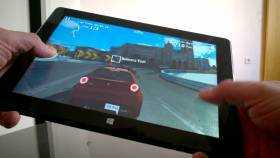 You’ll get some Windows Store gaming done on the Acer One S1002 but it seems that there’s no accelerometer. At least it didn’t work on my test with Drift Mania. 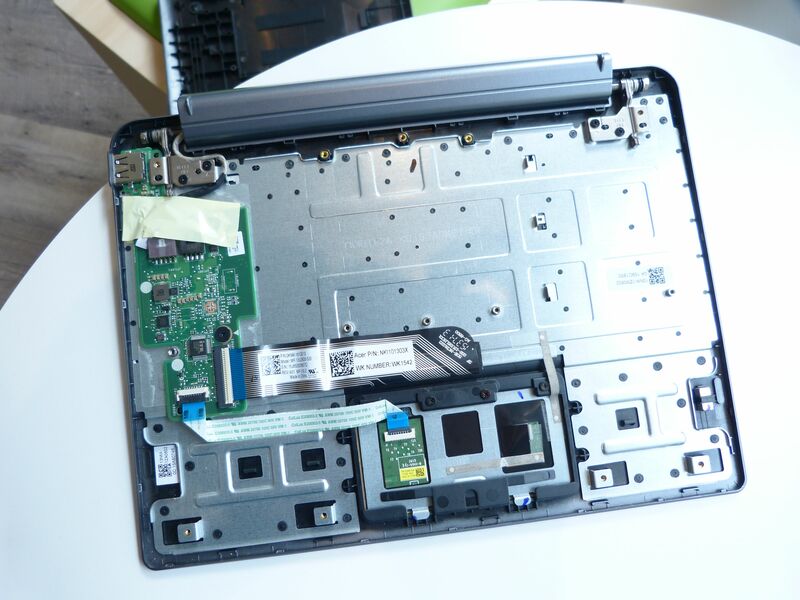 Acer One S1002 keyboard internals. 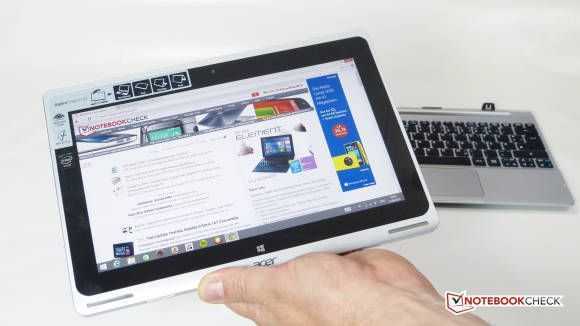 Full written Acer One 10 review here. A touchscreen detachable for $220! Amazon have an offer on the Acer Aspire Switch 10 right now, just as the Switch 10E is feeding into retail channels. I’m testing one of those right now and wondering why you would buy one when the original Switch 10, a device I’ve also tested in-depth, is available for such a good price. You can even get the 64 GB version for $270. Amazon also have global shipping available on this product. 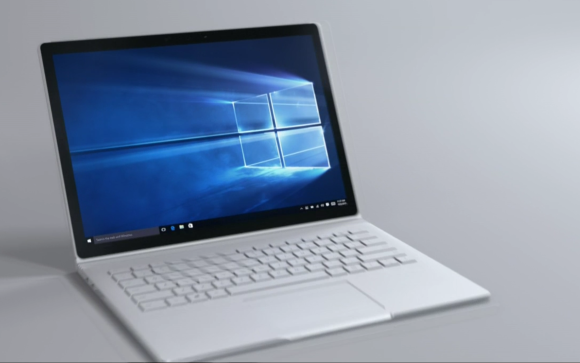 One thing you’ll need to do is to think about Windows 10 before you buy. There have been some successes and some issues reported by existing Switch 10 users when upgrading to Windows 10 but if you’re not worried about Windows 10 then the Switch 10 is immediately a good deal for this price. 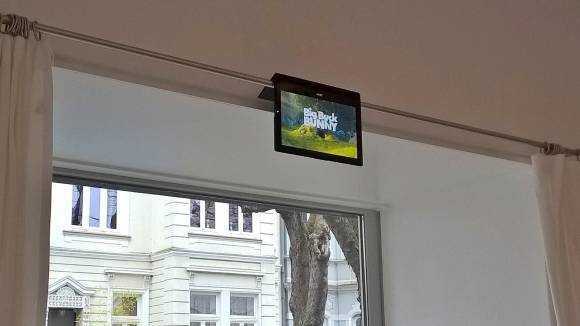 The screen is a 1280 x 800 resolution model but still has wide viewing angles. 32 GB storage is enough for a good range of Windows Store applications and this tablet will also give you HDMI output, supports Miracast and comes with a one-year Office 365 license. I tested the Switch 10 for Notebookcheck last year. Battery life is in the 5 – 6 hours range for ‘WiFi-on Web’ and there’s a reasonably good keyboard. 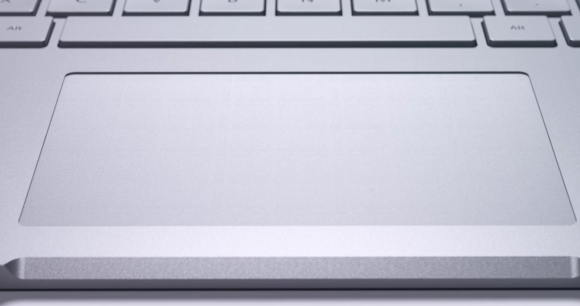 Some users have ha issues with the trackpad but I didn’t experience it in my testing. Overall it’s a good package. If you have any (short) questions I’ll be happy to help you over the next 48 hours so leave your comments below. You can view some dollar pricing on 10-inch detachables in this list where you’ll find the HP Pavilion X2 10 as an option for a similar price. Buy the Switch 10 at Amazon.com Full specifications, links, gallery in the database here. The 11-12 inch screen size is perfect for mobile productivity and with processing power on the rise and design slimming down it gets more interesting every week. Intel’s Core M has a lot to do with the amount of activity in the sector and it might just be responsible for the new Acer Aspire Switch 11 V that got announced today. There aren’t many details available though as Acer only revealed that it would have improved ergonomics and more processing power. There’s one image available too. 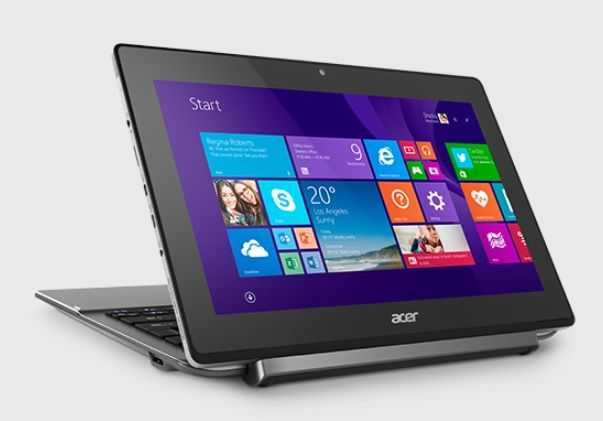 Update: All specifications now available on the Acer Aspire Switch 11 V specifications and information page. Acer Aspire Switch 11V. More details later in Q2 2015. I’ve just finished a big in-depth review of the Acer Aspire Switch 12. It’s the first Core M product that I’ve had the chance to review and I came out of it with a very positive feeling about Core M and the products that it will enable. I also loved the Acer Aspire Switch 12 itself. Core M is a product borne of the feature that was Scenario Design Power (SDP) which itself was an extended ability to monitor and react to processor and product temperature by changing clockrates across CPU and GPU cores. I called it smoke and mirrors at the time because Intel never actually revealed what ‘scenario’ they were talking about. 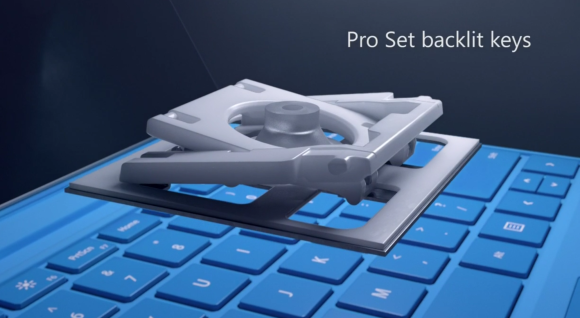 The scenario was actually a continuation of what Intel had done with the Ultrabook project. Touch, 2-in-1, responsive, mobile and, ultimately, fanless systems with Core-class features and enough power to cover mainstream users scenarios were to be the next generation consumer PC. Early products based on the Y-series Core CPUs were poor. I remember testing the first Yoga 11S and seeing performance levels at half of what an Ultrabook could produce. A Fujitsu Q704 down-clocked by about 50% when you took it out of the keyboard dock to improve battery life and cut case temperature. A fanless HP Pro X2 410 was so sensitive to ambient heat that I could speed it up by pointing a desk fan at the rear of the tablet. 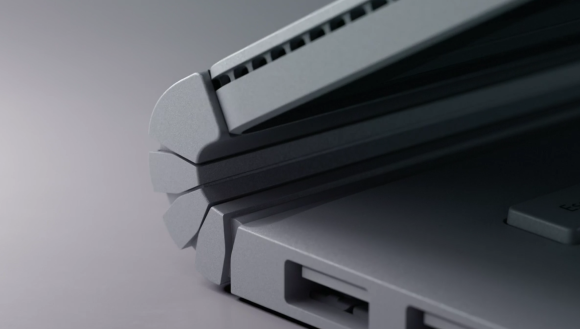 Like the Ultrabook project (which made us suffer with high prices before it finally worked out to be a game-changer,) the road to fanless has been rocky but were there now and Core M is exactly the marketing relaunch that Y-series and SDP needed. Core M enables more than just new designs. 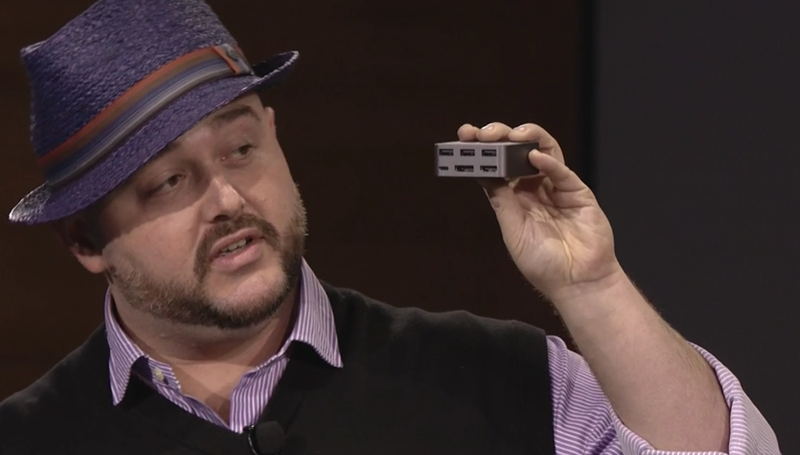 It’s one of the smallest Core processors that Intel produce and with that comes cost reductions. It’s also a gift to designers as it reduces component count and allows flexibility in thermal design. It enables mainboards to sit close to other components. It reduces the need for big, expensive batteries. In 2012 we were seeing 45 Wh batteries in Ultrabooks laptops but today’s Core M designs are based around a 35 Wh design and still offer over 5 hours of battery life. In 2007 it took 10-12 watts of energy to drive a web browsing experience. It’s now down to 5-6W now and if someone can work out how to cut the energy required by a screen backlight we’ll be down another 30%. Sealing a battery inside a casing also reduces the need for certified batteries casings and prevents people tinkering. Reducing support costs, shipping costs and storage costs are all part of the plan. Ideally a consumer tablet is easy to hold and the tablet PCs of the past were a pathetic offering. The Samsung XE700 broke the mold in 2011 with a 826 gram 11.6-inch specification and since then we’ve seen 11.6-inch tablet weights come down to just over 700 grams. In the 10-inch space it’s reached 550 grams which is more than acceptable. As we move towards the removal of most physical ports, a further reduction in battery size, storage size and a slimming of the screen layers we’ll see larger tablets at the same human-friendly weight. With larger tablets comes more space to build a better keyboard and with Core M you reach a point where processing power is at the consumer PC level. 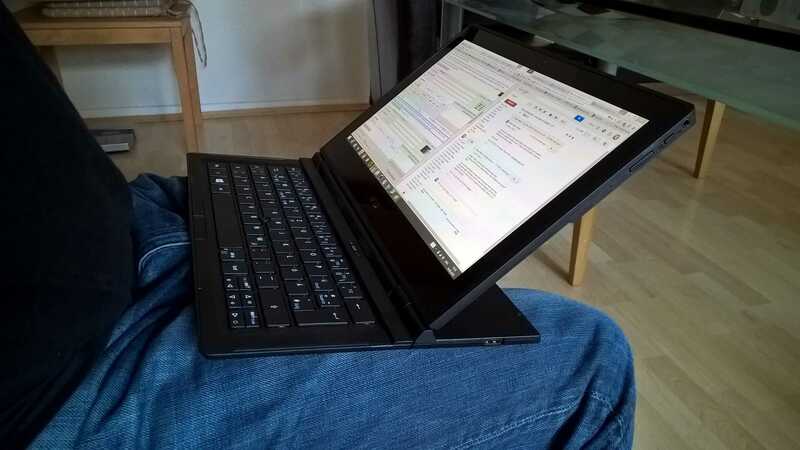 Being able to deliver the perfect consumer tablet along with the most flexible operating system, the power to do everything and a keyboard that is as productive is possible is real 2-in-1. Bigger products generally command a higher price too so the 12.5-inch size we’re seeing are hitting the sweet spot in many ways. 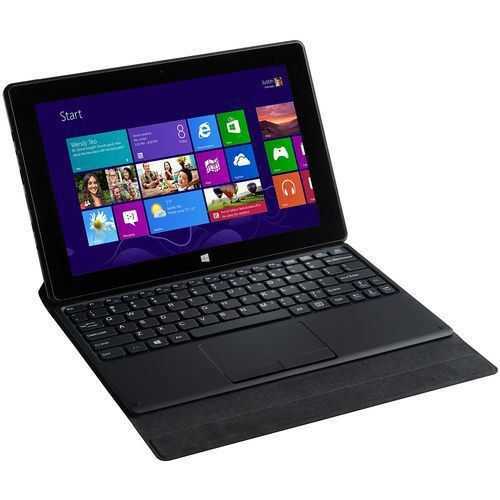 The digitizer brings in more tablet value and the removable wireless keyboard is simple but very, very effective. The Acer Aspire Switch 12 is a good product now and a true 2-in-1 that anyone would be happy to have as an office PC but just think about how the design could improve by being lighter and more stylish. 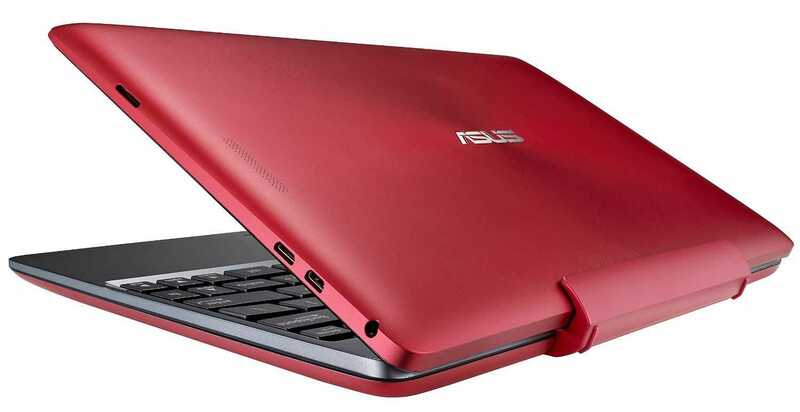 This is a $699 laptop today with the power of a basic Ultrabook of 2013 that cost $999. You’ll see this at $649 or less soon and this time next year we’ll be talking about 20% improvements in power, battery life, weight and again, price. We might also be talking about a wire-free experience. 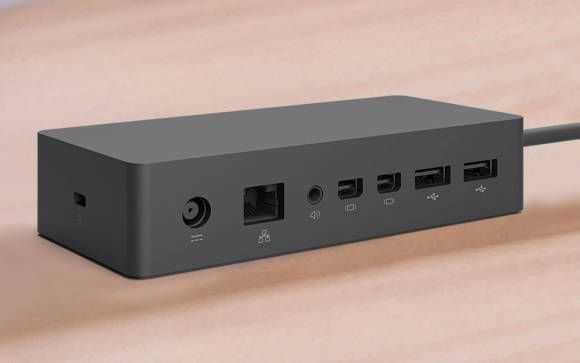 That stand could turn into a removable WiGig breakout box. A few years ago I bought an Acer W510. 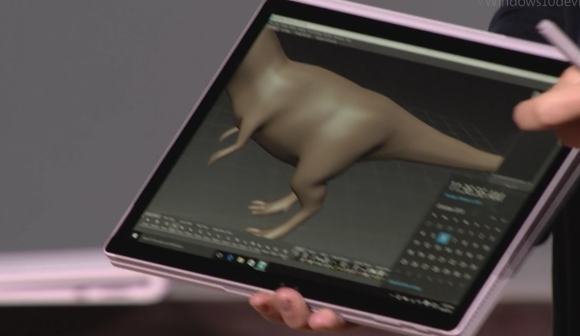 This Clovertrail-based 10-inch tablet was light but weak. It served well on holidays and I experimented with it as a desktop but for mainstream users it was far from the mark. 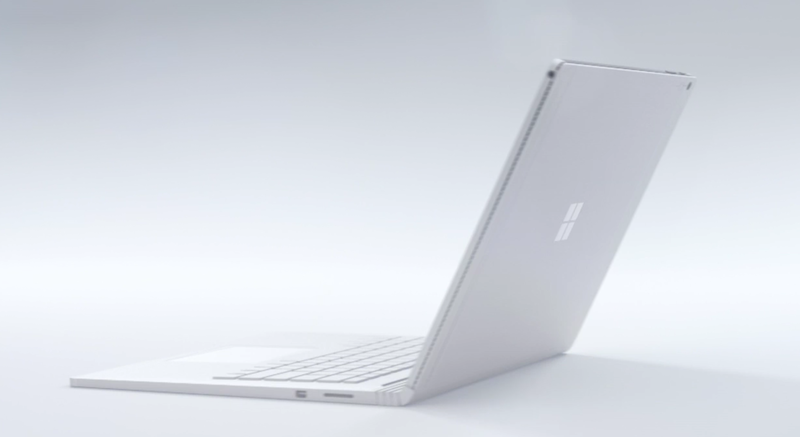 Today we’ve reached a refinement called Core M that’s making 2-in-1’s extremely attractive as, well, a true 2-in-1. Windows 10 might just get the praise it needs too and if the Windows Store becomes a first-class citizen of the ‘apps’ world then the stars will align. For me the stars have already aligned. I love the Switch 12 and I want to keep it. 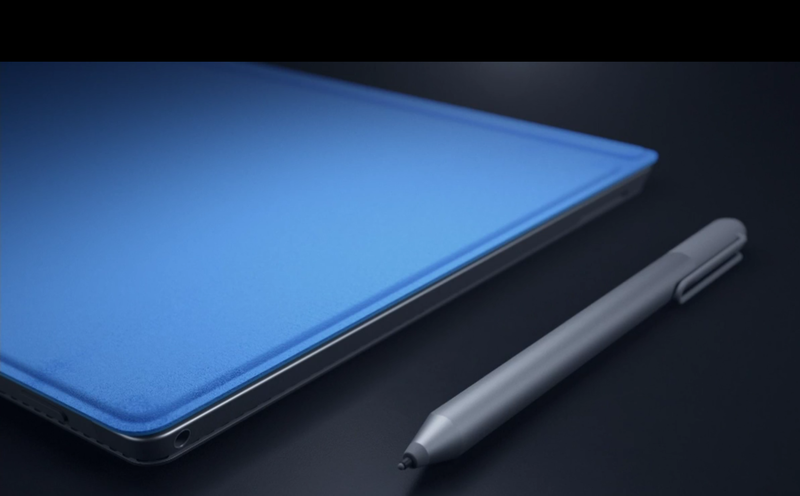 If I didn’t have a Surface Pro 3 here (on long-term loan from Intel) I’d probably order one. I’ve tested video encoding, gaming and I’ve seen some excellent AC WiFi speeds in my office. 20 MB/s file transfers from the local NAS? Yes please! 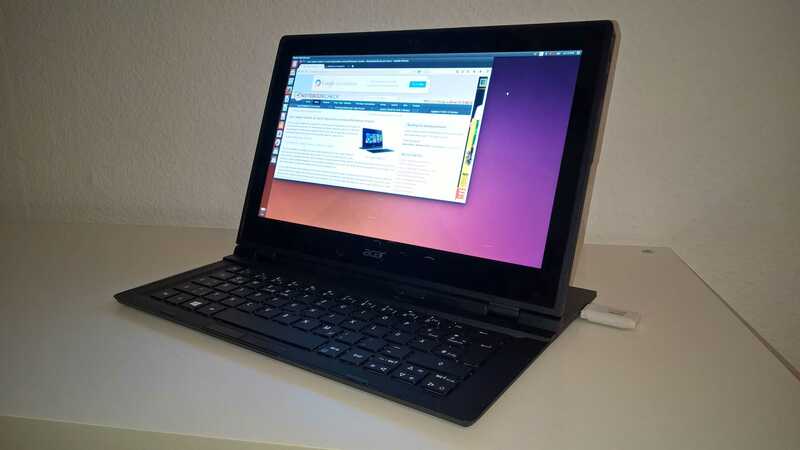 It boots Ubuntu from a USB stick without issues and that’s a security bonus in my opinion. 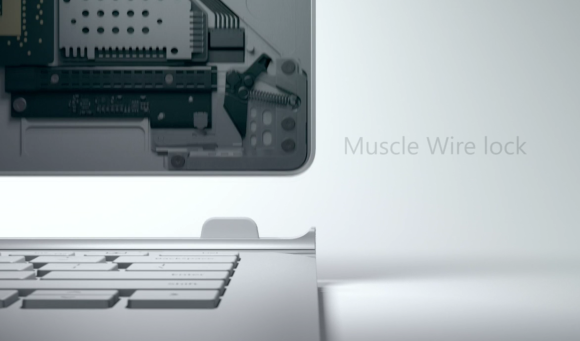 I love the ergonomic and presentation possibilities of the removable keyboard and digitizer. I adore the screen. Most of all I love how I can do everything I need without any noise whatsoever. If you’re thinking about the Acer Aspire Switch 12 too then you need to remember that the ASUS Transformer T300 Chi is coming soon, for the same price. 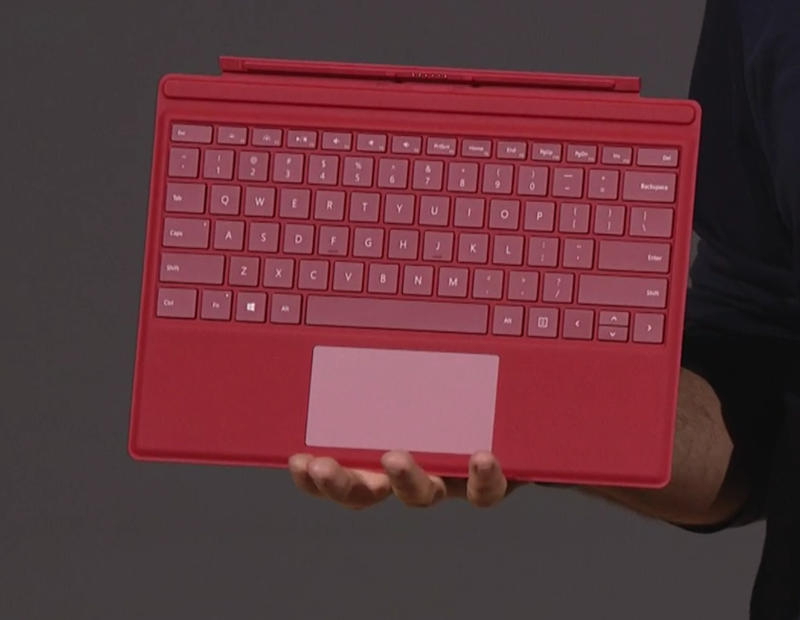 It’s likely to have a better keyboard and it will definitely have a lighter tablet. It will probably perform as well as the Switch 12 and it has a sensible clam-shell design. It looks a lot more stylish. The built-in stand on the Acer Switch 12 does it for me though and there’s one more thing you need to know. The Acer Switch 12 is more lappable than most laptops. The Acer Aspire Switch 12 is very lappable! 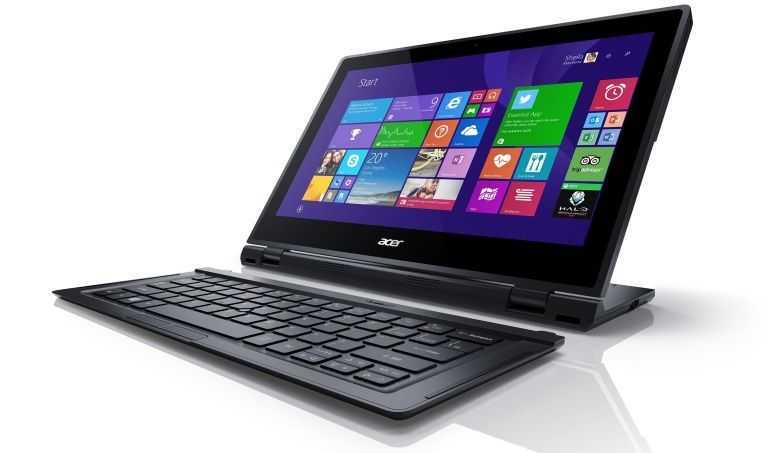 More information on the Acer Aspire Switch 12 in our mobile PC database here. All Core M products under 1300 grams are listed here. I’m testing a new 10-inch detachable. The MSI S100 is one of a number of products in this expanding class and at $299 with a 10-inch screen and running an Atom CPU this MSI S100 is typical. 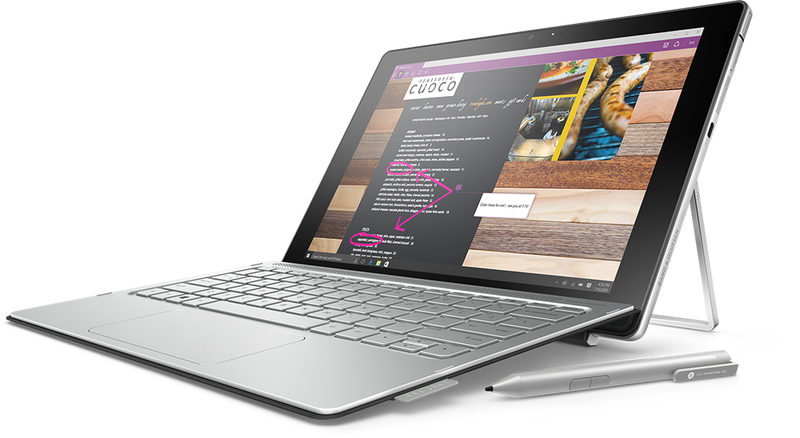 The specifications might sound a bit netbook-y but these 2-in-1’s offer much more than the classic netbook. They’re more powerful, lighter and have longer battery life. There’s a touchscreen, smooth full HD platback and battery life that we could only dream of back in the day. There’s one problem that didn’t get solved though because the keyboards and screens are still too small for everyday productivity use. As there are low-priced options in the 11.6-laptop category now it leaves the 10-inch detachables to focus on mobility and tablet usage and it turns out to be an ideal combination for many scenarios from sofa-buddy to travelling-buddy. 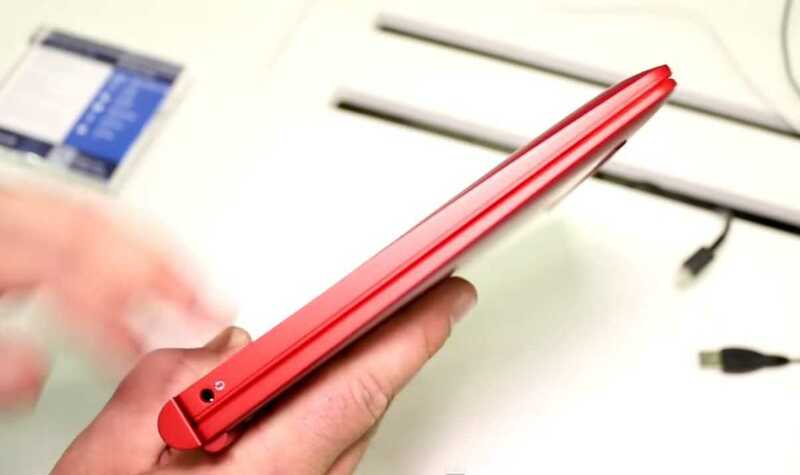 MSI S100 10-inch detachable tablet and keyboard-case. 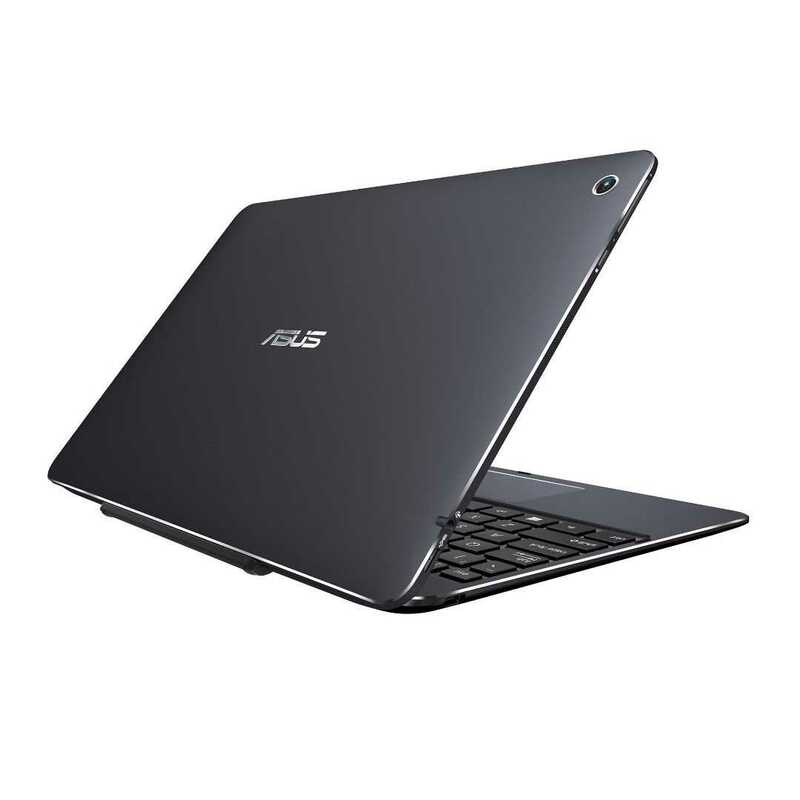 The ASUS Transformer Book T100 was one of the first successful devices in this category and it was a popular choice all the way from November 2013 through 2014. Versions included models with an extra hard drive, CPU variants, reduced RAM and various colours. There were even models selling with Windows 8.1 Pro which shows how wide the customer-base is. Prices for a 32GB/2GB T100 are well under $300 now but at CES in January ASUS launched a new model with a Full HD display, USB 3.0, faster processor and a slimmer design. It will slot in above the existing T100 and pricing will start at $399. Meanwhile at the other end of the scale there are 10-inch Windows tablets with keyboard cases for under $200. The T100 wasn’t the first 10-inch detachable – I’ve been a very happy owner of an early Acer W510 since 2012. It came with a keyboard that included an extra battery so as a video playback device it was superb and it still does duty on long journeys the car. I also have the Lenovo Miix 2 10 and as it came with Office 2013 it gets used for school homework via an HDMI-connected screen and USB-connected keyboard and mouse. The keyboard that comes with the Miix 10 isn’t good though. The MSI S100 that I’m reviewing for Notebookcheck is a better option for typing than the Miix 2 10 and the pricing on the 64GB version is under $300 making it very attractive. Other options in the space include the Acer Switch 10, the HP Pavilion X2 10 (which is on offer at Amazon USA now for under $250) and the uniquely-designed full-HD one with a big 35Wh battery – the Lenovo Yoga Tablet 2 10. You’ll also find low-cost options under less well-known brands. What can you do with a 10-inch detachable? It’s a tablet, first, and when it only weighs 1.2lb it’s OK to hold for extended periods, to play accelerometer-driven games and to waste time watching YouTube videos or browsing the uch-improved Windows Store. The keyboard (sometimes with case) brings in a ‘stand’ mode and that great for seat-back videos. The Atom platforms inside these tablets all have no problem with 1080p videos, even at high bitrates. As a ‘newspaper’ or book the tablet weights are still a little heavy but they do make great sofa-buddies. And of course there’s the keyboard itself which introduces a traditional method of input and mouse control. Some of the keyboards are even good enough for long sessions of typing. When it comes to work you’ll want to be sure that you only buy a product with 2 GB of RAM. 1 GB RAM might be enough for a good demonstration, some benchmarks or working on Windows Store apps but it’s not good enough for extended use, even with multiple tabs under Chrome. As for storage, 32GB is manageable but you’ll need to do your housekeeping. I can’t recommend 16GB of storage for any use cases at all. 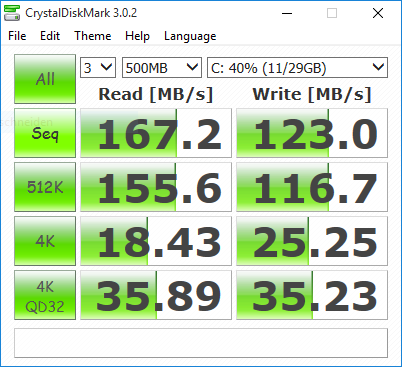 If you’re looking at Microsoft Office usage, which is certainly possible, then try to ensure that the SSD speeds are good. The important figure to watch out for in reviews is the 4K write speed. Anything around 8-10 MB/s is good. Anything under 4Mb/s should be avoided for Office usage. Rotating hard disks are not recommended. The Lenovo Miix 2 10 has a slightly more powerful processor (like the new ASUS Transformer Book T100 Chi) than some of the other models in the low-cost 10-inch range and having switched between the Miix 2 10 and tablets using the lower-powered processor I can say that there’s a noticeable difference. 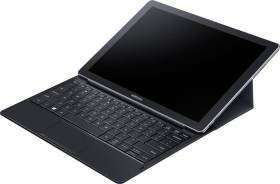 The SSD on the Miix 2 is good too but that keyboard prevents me from recommending it as the best all-round solution in this category. One of the big considerations for 2015 is Windows 10 and the boost it will bring to the Microsoft Store. Universal apps that run across a unified phone and PC store are going to change the way developers look at the platform and Microsoft will give it a big boost with a new range of included apps that include Office. These apps are likely to be more optimised than their desktop cousins and touch will be available as a ‘first-class’ input method. We expect to see a new range of exciting apps appearing through 2015 that will add to the, already improved, choice in the Microsoft Store. For content creators there are definitely limits to the current Atom-based tablets. You’ll be able to run up a desktop video editing app but the experience won’t be very smooth. Simple 720p editing via something like Movie Creator Beta or Movie Edit Touch 2 which should be enough for social sharing. Simple photo editing is also no problem along with photo management and of course, creating documents, blogs, spreadsheets and presentations is always possible either with supplied Office software or with online offerings like Google docs. If you’re into more demanding creative apps, take a look at the Core-M range of mobile PC solutions. Music library management is best done online due to space limitations and both Google and Microsoft offer ‘lockers’ for your music. Free storage often comes with the product and Office 356 licences come with 1 year of 1TB upload capability. Windows Store gaming is getting better. Security and privacy are an important consideration and Windows 8.1 offers a range of security and privacy features. We always advise people to add the HTTPS Everywhere and Privacy Badger extensions to the Chrome browser and if possible add a power-on password via the BIOS. We also advise the use of a Microsoft account because on some devices it enables disk encryption. It also provides online password management, 2-stage authentication, login location-tracking and more. 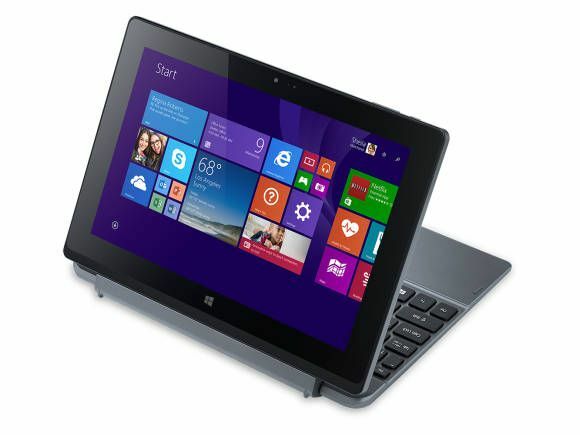 For a full review of the Windows 8 tablet security features, see this detailed analysis. Battery life is important and those of you thinking about the 2-3 hours we used to get out of a 1KG netbook are going to be surprised. You’ll get about 5 hours of working time, 7 hours of light usage, from most of the 1.1-1.2 pound tablets out there. The HP Pavilion X2 10, one of the cheapest, has a 35Wh battery that might even get you up to 9 hours in some cases and don’t forget that they all support Connected Standby so you can run Windows Store apps in the background while the tablet is off. That’s 15 hours or more of music streaming or Skype standby. Versions with 3G should even allow you to use a Skype-in number for phone connectivity. With prices on these low-cost 2-in-1 Windows tablets coming down every week and with more products filling the market there’s an incredibly rich mobile PC sector growing here. 10-inch 2-in-1’s are the perfect companion for out-of-office periods when productivity might be required but where entertainment and social networking, photos, videos and gaming are the number 1 thought. The quality and number of apps in the Windows Store has improved greatly and in some cases you’re buying an app that works across both phone and PCs. That feature is going to become even more prominent as Windows 10 for phones and PCs nears and as Universal apps create ecosystem for phone, tablet, laptop and desktop. These new 2-in-1 PCs might be priced like netbooks and have specifications that sound like netbooks but they aren’t anything like them. The product and operating system has matured and there’s a lot of exciting flexibility and mobility across work, play and communications scenarios. You can find all the current 10-inch dockable tablets through this link where prices start at $239 or you can go to our database and choose your own specifications. So what’s my favourite 10-inch 2-in-1 right now? The HP Pavilion X2 10 has to be the best value at its current $240 price but the ASUS Transformer Book T100 Chi has to be the most desirable. With the higher-power processor, USB 3.0, full HD display and amazing design, it just might be worth the higher price. I should have some more hands-on with it soon and my finger is already hovering over the pre-order button at Amazon Germany.